When searching for a studio monitor, it’s always best to do research. Looking for the right one will take a bit of homework, as its not like buying $50 computer speakers. These are certainly an investment worth researching. From the dual speaker set-up of a studio to wanting a little extra punch in your gaming, it is critical to find the size and sound to fit your audio needs. The following list features reviews of monitors that range from robust, professional studio speakers to compact, convenient models to tuck beside your desktop. One of the most respected brand in the industry, KRK studio monitors provide a natural and balanced sound for engineers and recording artists. With low distortion and superior imaging, the KRK Rokit Generation 3 creates a powerful and dynamic sound that guarantees quality mixing, mastering, and playback. The system features one soft dome tweeter and five glass-Aramid composite woofer that delivers high frequencies up to 35kHz with vocal clarity and extended bass response. The bi-amped, class A/B amplifier brings Sound Pressure Levels up to 106dB. The engineered surface reduces distortion and features a front-firing bass port to cut down on boundary coupling and allow for flexible positioning. Lauded for its high quality sound and playback accuracy, The KRK Rokit 5 Generation 3 is the ideal choice for producing a professional mix. For a more compact option, the PreSonus Eris E4.5 monitors pack a big punch. These 6.42″ wide x 9.45″ tall x 7.09″ deep speakers feature a Kevlar low frequency transducer and 1 inch (25mm) ultra low mass silk dome high frequency transducer to make for a large, balanced sound. The Eris E4.5 line offers a responsive 25W Class AB amplication per speaker and acoustic-adjustment controls for Midrange, High Pass, and Acoustic Space settings for accurate mixing contour. The 100 dB maximum sound pressure level has a frequency response that ranges from 70 Hz-20 kHz, making it a smart choice for home studio needs. The Studio GT offers high quality performance with the unique feature of a USB audio interface, perfect for desktops and similar systems. The Studio GT comes equipped with 2 x 20 watts of internal power, rendered by a 4.25-inch magnetically shielded, inverted cone, copolymer woofers and 1-inch silk dome high frequency drivers. These custom items allow for crisp high and lows that, with the added convenience of a USB interface, put the Studio GT at the top of the list for self-produced audio/visual projects. The Mackie HR824 features the one-piece cast aluminum Zero Edge Baffle™, an engineered curvature that minimizes diffraction to add detailed lows, full, articulate mids, and glistening highs to your mix. Its Optimized Waveguide controls dispersion characteristics of the sound on and off axis, ensuring smooth transitions from lows to highs. Replacing the more traditional port is a passive radiator, which keeps the vents from becoming audible when reaching high signals levels. With separate onboard amplifiers and crossover,the HRmk2 retains the character of classic monitors while using new technology to assure the best sound for your mix. 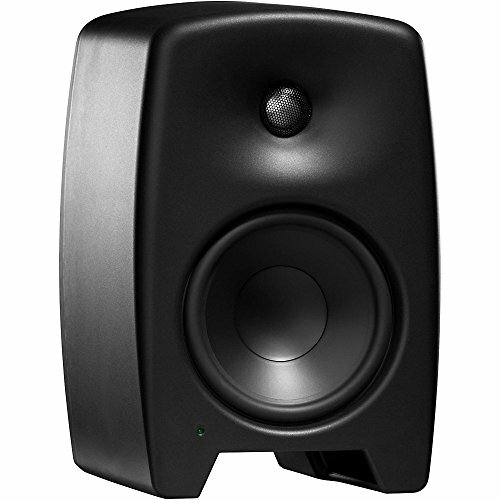 The Genelec M040 Active studio monitors have a balanced sound for both personal and professional studio projects. This 2-way monitor features a 6.5″ low end and 1″ high end drivers, the Genelec M040 monitor effectively captures an array of genres, from bass-heavy beats to acoustic arrangements. Another signature feature is the energy-saving Genelec Intelligent Sensing Signal, which powers the unit down after long resting periods, making it cost effective in quality and quantity. With a superior standard and mass sound appeal, the Genelec M040 holds its own as a standalone or a fully-loaded addition to your system. The Mackie CR Series CR3 is a two-way, active pair of reference studio-monitor loudspeakers. 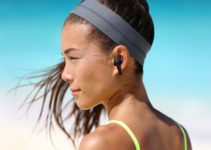 The CR3 comes with an AUX in, Headphone out and Bluetooth Connectivity. 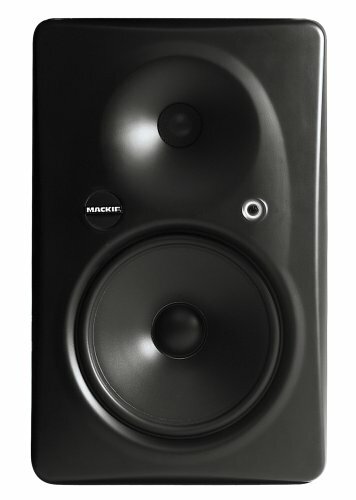 The Mackie CR Series CR3 has a three-inch, low frequency for full response in the low end, paired with a high frequency, one-inch silk dome driver to adequately cover highs and lows. With a 80-20,000 Hz frequency response, the CR3 covers a wide range to accommodate to many types of sound projects with the convenience of connecting to any number of Bluetooth compatible devices. Modeled from the Yamaha HS line launched in 2006, this redesigned HS series features new transducers to create an even, clear response over wide bandwidth that guarantees accurate signal production. With an upgrade to a larger, 1″ tweeter, the new Yamaha HS8 delivers high resolution sound over its extended range of frequency. The special features ROOM CONTROL and HIGH TRIM eliminate unnatural environmental sounds and more flexible control of the high frequency response. Additional inputs allow the Yamaha HS8 to transcend its clean and crisp sound along many different devices for strong audio in all corrners. The newest line of active studio monitor from Neumann is the KH 120 A, a bi-amplified (50W + 50W) two-way monitoring speaker system that features a 5.25″ throw woofer and 1″ titanium fabric dome tweeter. Other perks include a non-resonant, aluminum enclosure designed to eliminate cabinet colorations and a free field frequency response of 52 Hz-21 kHz. A four position bass, low-mid and treble acoustical controls allows easy adjustments to tailor sound to a diverse backdrop of listening environments. With a compact size and unique look, The KH 120 A is a great match for mixing and mastering music, broadcast, and post-production projects. 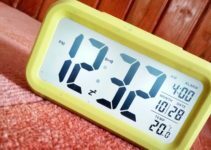 The most accurate monitoring experience in it’s price range. 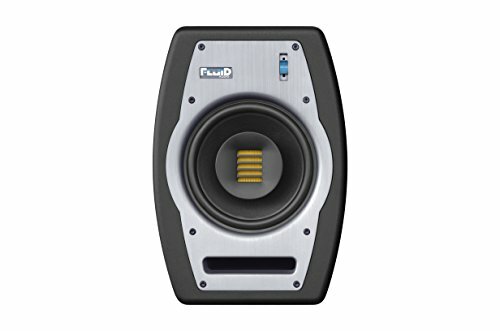 That’s what the critics say about the Fluid Audio FPX7. The AMT Tweeter, is uniquely mounted in the centre of the woofer and provides professional quality depth and detail. The low frequency driver, 7 inch cone and overall construction have been shaped to increase dynamics and maintain an accurate sound. Class AB amplifiers for the tweeter and woofer provide up to 140 watts of burst power. 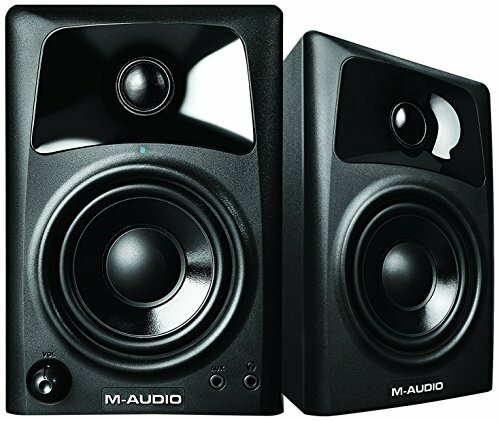 The AV32 10-Watt Professional Studio Monitor speakers in the M-Audio line features 3-inch polypropylene-coated woofers for accurate and tight bass, along with 1-inch Ferro fluid-cooled silk cone tweeters for producing clear, pristine highs. This 10-watt amplifier has a two-way design that features Opt Image IV tweeter for superior imaging and optimal bass sound. The AV32 speakers also provide optional 1/8-inch stereo jack and RCA inputs, making it compatible for everything from computers to tablets and mobile devices. The AV32 monitors have a versatility that make them perfect for gaming, watching videos, or listening to music. This collection of monitors is guaranteed to give you the most bang and boom for your buck. With top-quality brands and reasonable rates, we hope that you find the best sound to help you get down! 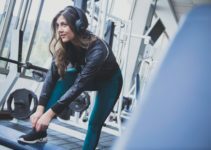 Interesting list of the best monitoring speakers for 2017. 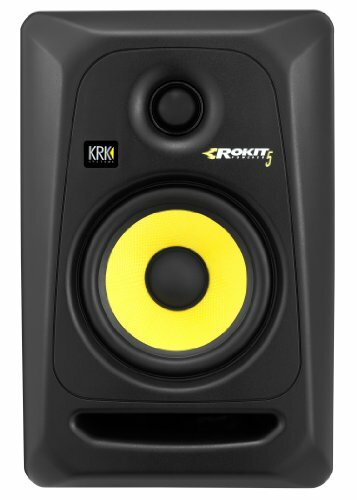 As someone who has used the KRK Rokit 5 for a couple of years now, I can truly say that it’s one of the best and not only because it’s cheap–its performance is actually quite good compared to higher priced studio speakers. Obviously many users and review sites agree as it is almost always mentioned in top studio speakers articles. I’ve also used the JBL LSR 305 and it’s pretty great. I’m surprised it’s not on your list. 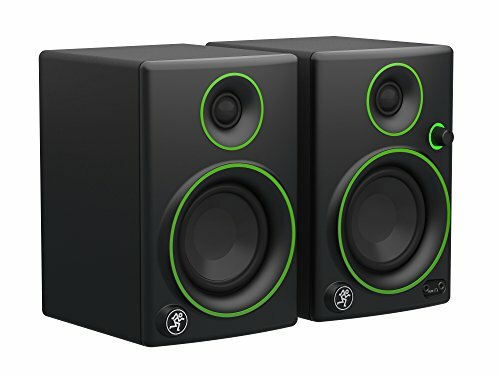 I’d never heard of the JAMMIN PRO NS5 studio monitors before. 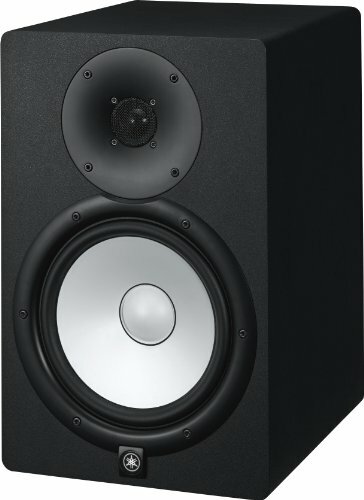 So earlier today I read an article about the best selling studio monitors (Amazon and Sweetwater are the sources) and it made me think that there may be people out there, especially beginners, who want to know which studio speakers people are buying. 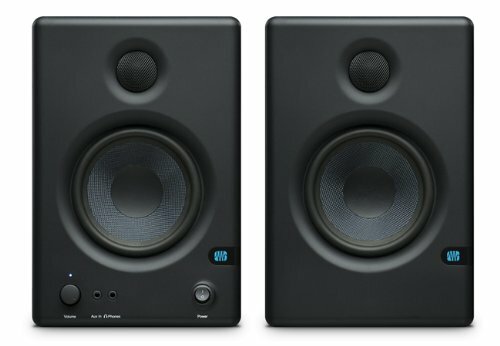 In case I am correct, I’m sharing this article on the best selling studio monitors for the interested readers. Among the models listed as the best selling monitors include the KRK Rokit 5 G3 speakers, JBL LSR 305, Mackie CR3, M-Audio AV32, and Behringer MS16. It might help beginners decide on which monitors to get. Every time I don’t see the Yamaha HS7 studio speakers on the list of the best monitors it always makes me a little bit sad. I got them over 6 months ago after being frustrated for too long about my crappy bad quality monitors. 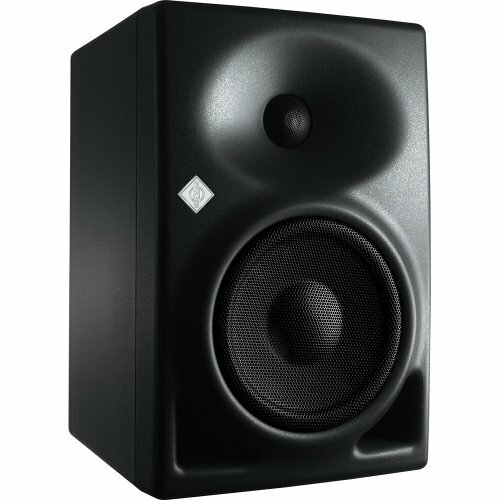 The Yamaha HS7 monitors are excellent and plenty of websites have given it praise, as you can see in this article here at http://www.studio-speakers.com/yamaha-hs7-monitoring-speakers-review/. 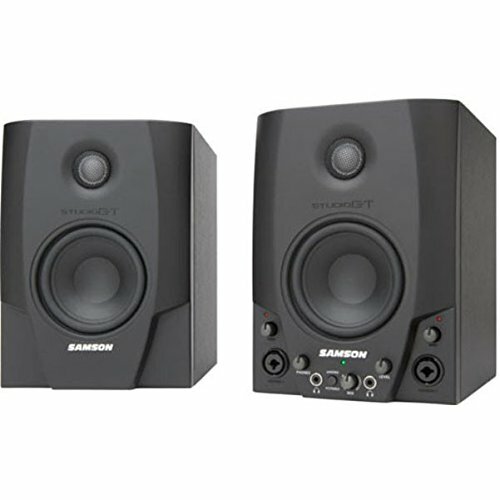 I strongly recommend it to anyone who wants a pair of high quality and reliable studio monitors. I swear they don’t disappoint. I don’t even think I’m ever going to replace them. Hi Jean. They didn’t make it on the list due to the others being so much better in terms of accurate sound, robust bass lines and overall value for money.